Father Christmas at Reed Cricket Club on Sunday 23rd December at 1200hrs. Father Christmas at Reed Cricket Club on Sunday 18th December at 1200hrs. A message sent by Andrew Emms on behalf of Santa Claus. Dear Reed CC Members & Friends, Father Christmas has again found the time in his busy schedule to pay a visit to Reed Cricket Club. This year he will be arriving at 1200hrs on Sunday 18th December. All Club members and families will be welcome for what has become a fun social event in the calendar. 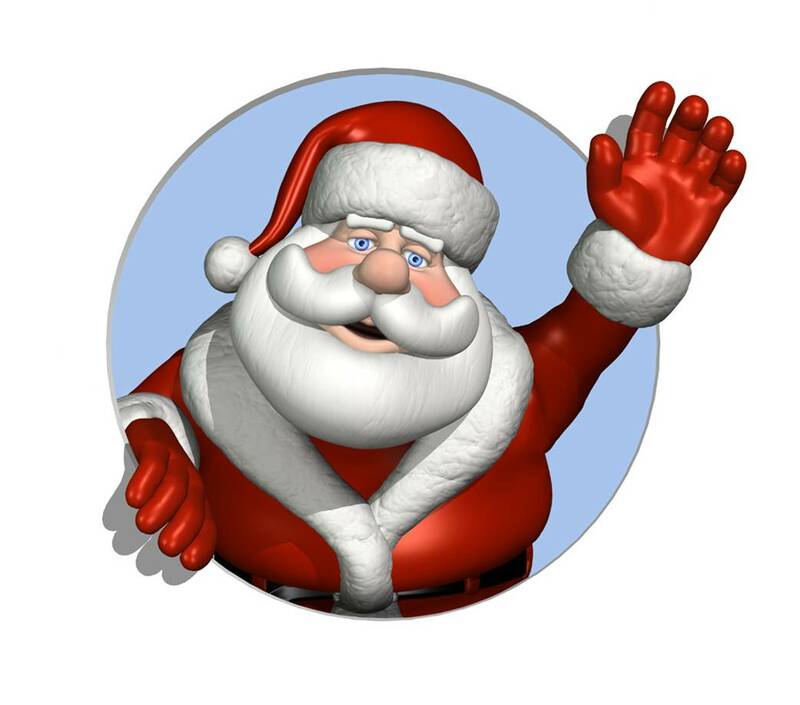 Father Christmas will be planning to arrive once he is sure that all the children are there. Would Mums and Dads let me know the names and ages of their children, if attending so that FC can select an appropriate pressie which he will be pleased to give them! Also, as you all know, Santa has a very generous circumference, and to keep it that way he asks that as many nibbles, nuts, sausage rolls, mince pies etc., are brought along by us all. We dare not refuse!! Don’t forget, SUNDAY 18TH DECEMBER 12 NOON!!!!!!!!! HAPPY CHRISTMAS!!!!!!!!!!!!!!!!!!!!!!!!!!! Andrew Emms, President, Reed Cricket Club.